Stan Franklin - Edmonton's Burial & Cremation Professionals | Trinity Funeral Home Ltd.
His will to live was extra ordinary, his fight was admirable. Our hearts are heavy and sadness consumes us. 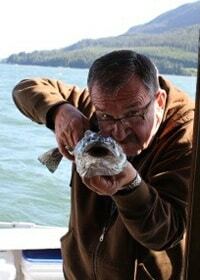 Stan was an avid outdoorsman; he loved nature, fishing, hunting and watching the critters. He claimed Mother Nature was his God. He also loved to farm and operate heavy equipment. In his 77 years of life he had many accomplishments. He was not afraid to follow his heart and was successful in most everything he tried. Everyone loved his stories, as he had many. He touched the lives of so many people. He had his family, but he also had many friends and neighbors that he considered family. He loved to share what he knew. And loved to help when he could. Stan was a committed to Water Conservation, he thought it was so important to protect our wetlands for future generations; he wanted our Grandchildren to enjoy some of the things he has enjoyed throughout his life. He is survived by his wife Linette, three sons Brock (Carey), Jerad (Aukje) and Mathew (Meg), four Grandchildren, Ryan, Carly, Shaymis and Sara. Brother, Lucas (Linda) Piskunowicz, Sister Linda Churchill (Dave). He was predeceased by his parents Paul and Mary Piskunowicz. A Celebration of Life will take place in the summer at the farm where he worked endlessly to make a special spot for his family to go enjoy the outdoors.